The military remains San Diego’s largest single economic sector, supporting 338,000 jobs and and reaching the $50 billion milestone in the most recent fiscal year. The San Diego Military Advisory Council‘s ninth annual report on the region’s military economy, released Friday at a press conference at Naval Base Point Loma, painted a picture of steady growth despite the vagaries of funding from Washington. The military — including the Navy, Marines, Coast Guard, Homeland Security and Veterans Administration — is the region’s largest employer. 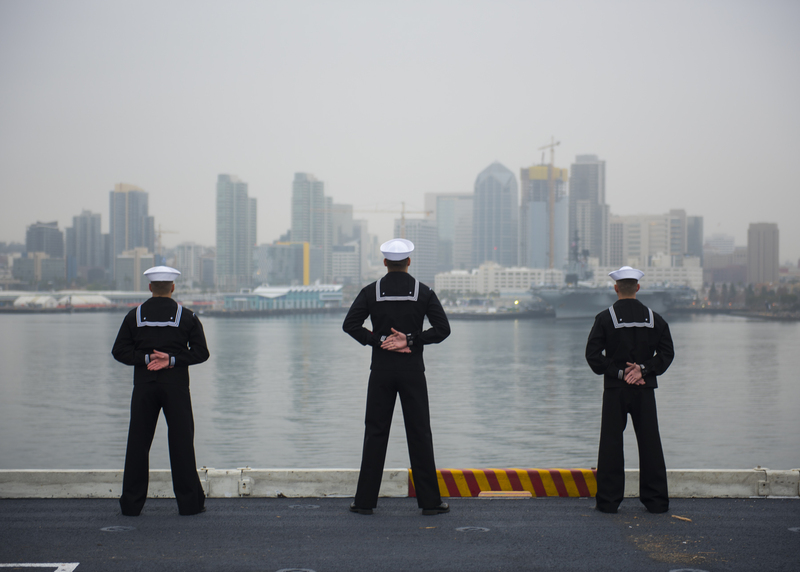 One out of every six U.S. Navy sailors and one out of every four U.S. Marines receive their paychecks in San Diego. Federal military spending in the region is expected to increase by 3.8 percent in the 2018 fiscal year, which began Oct. 1, compared to 3.2 percent in the previous year. A key driver of the growth is a steady rise in the number of Navy ships based here, from 40 in 2015 to 64 in the current fiscal year. 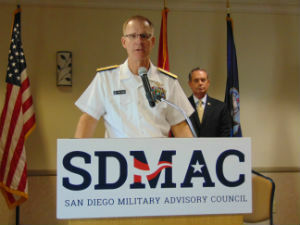 Rear Adm. Yancy Lindsey, commander of Navy Region Southwest, said ships are being moved here because San Diego is the “stepping off point to the Pacific” — the world’s leading economic region — and the nearby cluster of air, sea and land training areas is unmatched. He said 72 ships are expected by 2025, with more possible if the rate of ship building is increased. “First of all, we need a larger Navy,” he said. Rep. Susan Davis, a member of the influential House Armed Services Committee, said that while she was pleased with the economic impact, she was most concerned about supporting the men and women who serve. She promised to address both of these issues in Congress. Though defense funding has been covered by a continuing resolution instead of a formal Congressional spending bill for the past three years, Reaser said the outlook for San Diego remains strong. “San Diego has been weathering these storms for a long time now,” she explained.